Team-up with ROTASET, a market-leader with a barrage of awards, ideas and accreditations. Utilising a variety of digital presses from high-speed monochrome sheet-fed presses, through to SRA3 cut-sheet colour, you can be sure that your projects and documents are in most capable hands. 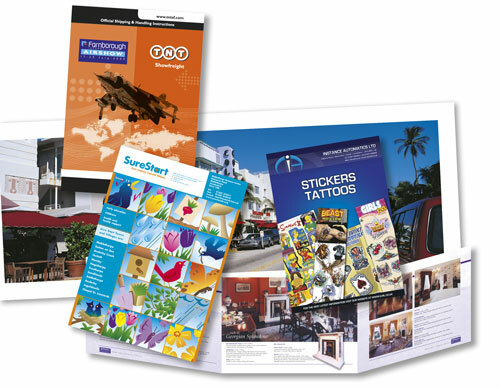 Think of the benefits of printing your literature digitally with ROTASET! Advantageous pricing – competitive and accurate estimates with NO hidden extras. File formats – we can work from all popular PC and MAC file formats, and are acknowledged specialists with Adobe®, Microsoft® Office and Publisher. Speed – fast turn-around on jobs when you need it – often hours; not days! Quality – our machines are true digital presses (not elaborate ‘photocopiers’) – for quality digital prints with vivid colour and clarity.